When first Resident Evil game came out in 1996 on the original Playstation, I was a teenager, and it was the first game which scared me. I remember its distinctly Japanese sense of pervasive doom and dread, which lurked behind every narrow corridor that you traversed through the mansion which the game took place in. 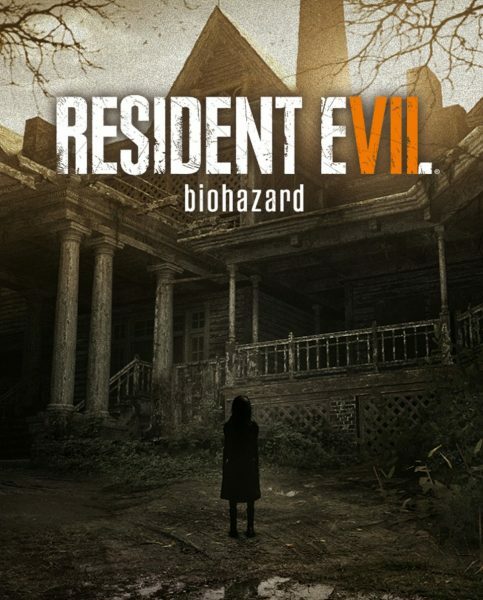 I never finished the game but I came away with many of the same memories that others who played this game have: the dog jumping through the window, the animation of doors slowly opening and the main characters, which have become staples for decades in what has grown to become the most famous horror game franchise. It even spawned a long series of blockbuster movies starring Milla Jovovich which, while considered terrible by most, became a lucrative film franchise in China. Unfortunately, Resident Evil has not been a consistent games series. After making one of the greatest games of all time (Resident Evil 4), it spawned two sequels which went thematically in the opposite direction: fast-paced action shooters which abandoned the quiet, claustrophobic tension of the original. These two games – Resident Evil 5 and 6 – were cartoonish in their presentation, featuring zombies shooting machine guns and riding motorcycles. Judged by the values of the much-replicated gold standard of the survival horror game genre created by Resident Evil’s creator Shinji Mikami, they were an abomination. 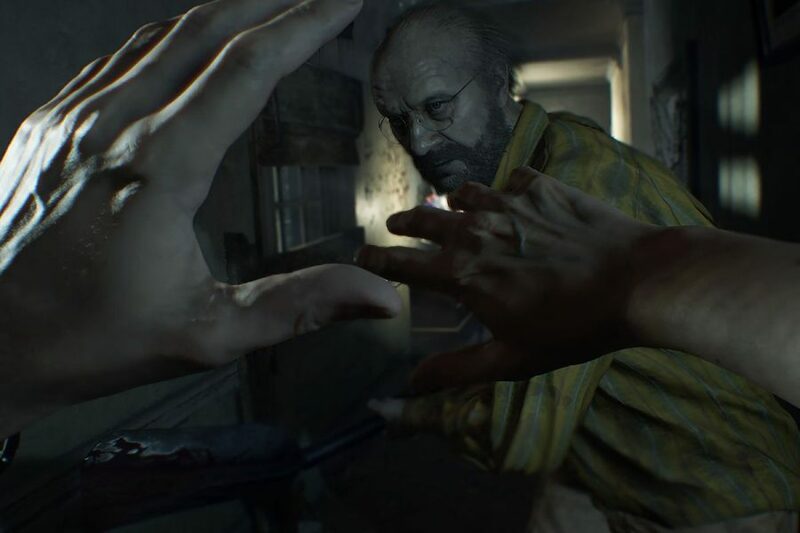 On the 20th anniversary of release of the original game, Capcom announced the next entry: Resident Evil 7, which was a return to the roots of the series. 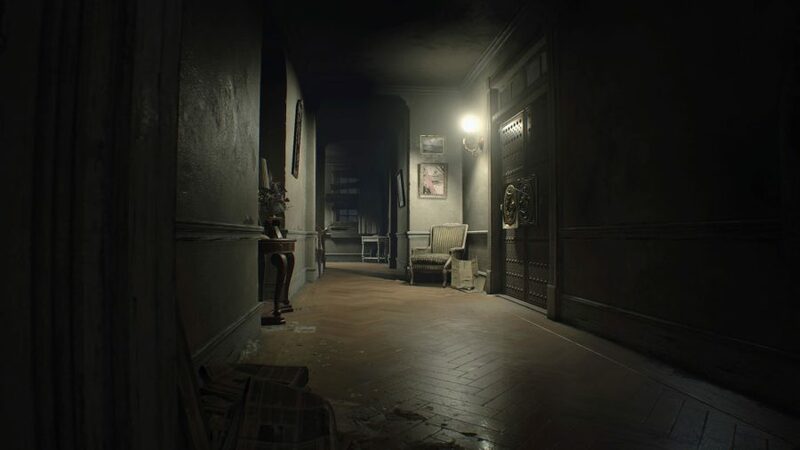 Many things were the same: you’re exploring a mansion populated with puzzles, locked doors, less ammo than you need, and fearsome creatures quietly stalking the hallways. Surprisingly, along with these familiar elements there was something dramatically new: now the game would be viewed from a first person perspective, which opened up a new possibility which this series never had: virtual reality. I can’t overstate how much I was looking forward to this game, having read in many places that it is without question the scariest game that you could possibly play. It’s not just that the game itself is frightening but that playing the game in VR grants you a point of view which is so intimate that it is horrifying in its perceived nearness. I looked forward to the challenge, and to see what it would be like to play a big-budget, AAA blockbuster game entirely in VR. Unlike most other VR games, like Superhot VR, this one isn’t just a few hours long: this journey is almost ten hours in length. Resident Evil 7 has no overt connection to any other game in the series so the lore of other games is unessential. The setup is this: you play a protagonist named Ethan whose wife has been missing and presumed dead for three years, when you receive a mysterious message from her, stating that she’s being held captive at a house in Louisiana. The Baker mansion. You go to the house and find that it’s an abandoned plantation, which was home to an unusual family. As you explore the house you find that it’s not unoccupied, and you become trapped inside the house and must escape. The intimate setting of the game is nightmarish in part because it is filled with small personal details which describe the circumstances of what and whom you are surrounded by. The story of the house and its inhabitants are told through traditional narrative exposition as well, but being in VR and leaning in to look at books on a bookshelf, documents on a desk, or photos in frames on the wall, is a novel experience. When I begun the game outside of the Louisiana plantation, one of the first things I noticed was how low-resolution the game appeared. Leaves on trees looked blockier than they’d look normally and there was an overall feeling that the image was blurry and unclear. The PSVR headset required careful adjustment in order to get the best image quality possible, which included realigning the headset itself and measuring and setting the distance between my eyes in the PS4 settings (this can also be done using the PSVR camera automatically). With these out of the way, the game still took time to adjust to. After an hour or so, I stopped noticing things like low-resolution textures in game, and began to feel immersed. It felt like the reverse of watching a movie in 4K: at first it’s obvious that you’re looking at something different but as the experience progresses, it becomes something which becomes less noticeable as you begin to become immersed. However, the lack of visual fidelity, particularly resolution, is something you will notice at first. Certain elements of the game also appear startlingly realistic, particularly water, which you wade through several times in the game. Wading through deep water in a haunted plantation is creepy but looks nice. One setting which you have control over is how to turn on the x-axis in the game. The default mechanism for this is a 30/45/90 degree turn with one button press. Alternatively, you can use the right analog stick on the PS4 controller to pan your vision, but this leads to motion sickness for many people, and did for me, so I left the camera pan at 45 degrees. It feels strange at first, but it’s something you become used to. As described in the recent PSVR post, the real distinction of playing this game in VR is the feeling of presence. There is a perceptible sense that you’re hugging the walls of the plantation and that the threat is physically near you. In order to get a basis for comparison I played about 30 minutes of the game on my projector, without the 2D headset. I’m glad I did that to properly evaluate the merit of playing the game in virtual reality, but it distinctly felt like observing the game from far, far away. From beginning the game outside the house to eventually exiting it, I felt like I had been on a journey. I hadn’t just seen and interacted with locations in and around the house, I felt like I had been there. Looking back on the game in hindsight, there is a feeling that my memories of the game itself feel more like real-life memories than other games I’ve played. I think this is due to a sense of spatial awareness that you have in VR which is unique. You can not just see, but you can feel things like the length of hallways and the proximity of enemies. Resident Evil 7 is disgusting. 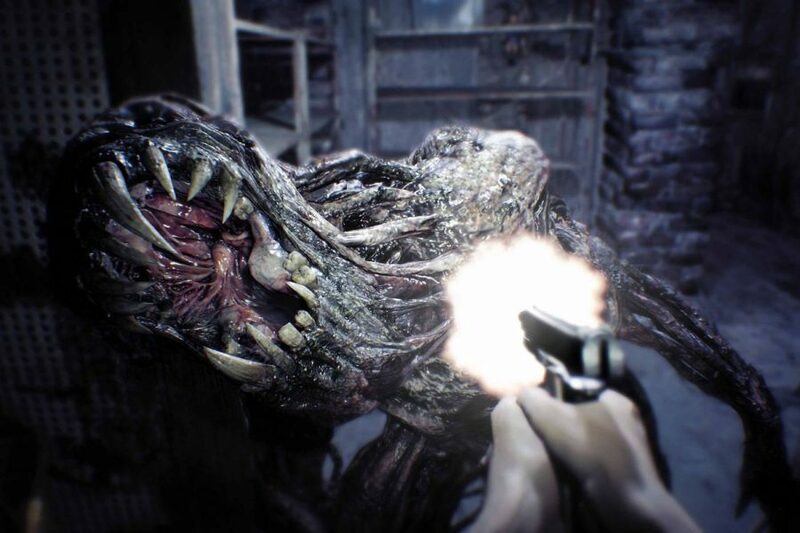 The recoil you feel when you see revolting things in the game is amplified by experiencing the game up close in virtual reality. It may be gratuitous, but it doesn’t feel out of place. In fact the revulsion is a pivotal part of exiting your comfort zone and entering this horrific new place. There are a few physical situations in particular which are memorable: being stuck inside a wall crawling with insects, traversing through neck-deep water in a basement, and being at the dinner table with the Baker family. This game will push you to the outer limits of your sensibilities. Aside from the initial problems with the lack of visual fidelity in the VR version of this game, I can’t say I was disappointed by anything. I kept to 60-90 minute sessions playing the game to prevent discomfort or fatigue in VR, and had no problems. The puzzles are substantial, the environmental art is exceptional, the monster encounters are thrilling, and the atmosphere of the game in VR is petrifying. If you have the stomach for it and you’re looking for a sizable experience which is more than just a few hours in length, this is a gripping and dreadful experience to have in VR.